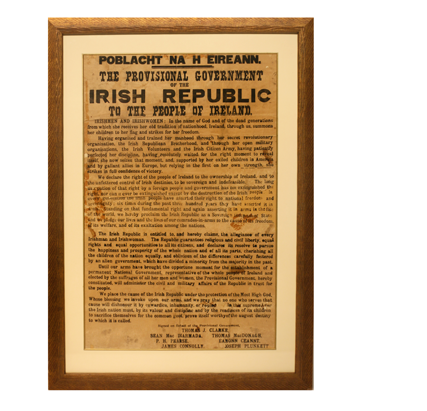 On Easter Monday Padráig Pearse, one of the leaders of the Easter Rising, read out the Proclamation declaring Ireland sovereign independent Republic. Copies were then pasted up around Dublin city centre. This document is currently on loan to Kerry County Museum from Mr Colm Murphy and Mr Dermot O’Conner.